Doggy Haven Invites you to Gingr! You will now be able to request daycare, boarding, grooming, and training online! Click the link for more information! Attend Orientation now to begin your dog's new flexible schedule training classes! 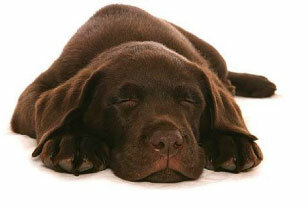 Your dog will leave happy and tired after a day of romping and fun at Doggy Haven. There’s no place like home, but Doggy Haven strives to be a close second. Dog Grooming and baths. Therapeutic massage. Doggy Haven has it all! Doggy Haven Resort is like no other dog boarding and dog daycare facility in the Seattle area! We believe that dogs should be allowed to socialize and play with one another during their stay in our first-class Bothell resort, romping around the playroom and outdoor play areas under the watchful eyes of our trained canine companions. After a full day of play and social activity, our boarding guests retire to climate-controlled rooms with glass fronts, off-the-floor beds, heated floors and soft music. Whether you’re off to work at Microsoft or headed to downtown Seattle, at the end of the day your dog will be tired, happy and ready to go home with mom or dad. Your dog will return home relaxed, clean and happy when you use any of our dog grooming, bathing, and health services. All dogs love to learn and want to please you. Our comprehensive dog training includes one-on-one sessions, group classes and a Board & Train program. My Dog had a Vacation Too! Doggy Haven Resort is like no other dog boarding and doggy daycare facility in the Seattle area! Each day is filled with fun, friendship and stimulation to ensure that dogs of all shapes, sizes, ages and breeds are happy, exercised and entertained. Our canine clients arrive daily from Bothell, Edmonds, Everett, Mill Creek, Mukilteo, Redmond, Seattle, Snohomish and Woodinville. Whether you’re headed to Microsoft on the Eastside or downtown Seattle for the day or you’re off on a two-week Alaskan cruise, your dog will receive the best care possible at Doggy Haven Resort. At Doggy Haven Resort, we believe that dogs should be allowed to socialize and play with one another during their stay. Our dog kennel, boarding and daycare guests are never confined to small chainlink kennels or dog runs. Instead, our guests are allowed to romp around the playroom and outdoor play areas under the watchful eyes of our trained canine companions – all at no additional charge!